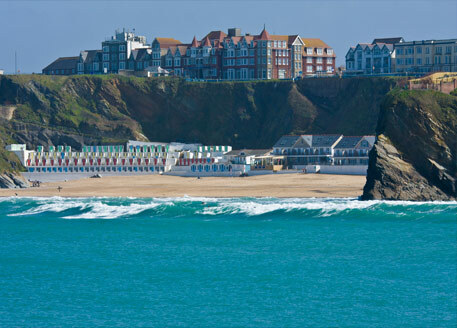 Newquay is widely regarded as the surf capital of the UK and centre for the surf industry in Britain. You can have your own surf board made or you can just hire one from the many hire shops in the town. Fistral beach is the most recognised for surfers due to the capability of producing powerful, hollow waves and holding a good sized swell. Newquay is a major tourist destination for people of all ages. This fantastic Cornish coastline consisting of nine long and accessible sandy beaches. Approximately 22,000 people live in Newquay. However, this figure can increase to over 100,000 in the summer as Newquay has a massive selection of holiday accommodation. Newquay is a beautiful seaside resort and fishing port in Cornwall and situated on the North Atlantic coast. Newquay’s nightlife caters for all. There is a wide selection from traditional pubs to beachside cafes. A selection of venues offers live music featuring local acts and on occasion, some international bands. The railway station in Newquay is close to the beaches on the east side of the town centre and due to the increase in holiday passenger, handles intercity trains throughout the summer, including a daily service form London. If you are travelling from either the midlands or further north, there are trains running both Saturdays and Sundays between May and September. Some canny investors rent their property to the holiday makers throughout the 5 months of the summer season and return for the remainder of the year. Newquay Cornwall Airport is the main commercial airport for the whole of Cornwall provides and has many domestic flights to many parts of the UK. Due to the demand the airport is expanding and now attracting many foreign flights, both scheduled and chartered. Cornwall has one of the most attractive coastlines in the UK. Whether surfing, playing golf, walking in the countryside or, just relaxing on the beach and soaking up the sun, Newquay is a perfect base. Property prices are on average higher than most UK coastal areas. However, don’t be put off, quality of life and clean living makes up for it. Newquay is a place once visited, you will never forget and always return, making property investment in Newquay a worthwhile investment.